Janel Parrish is an American actress and singer. 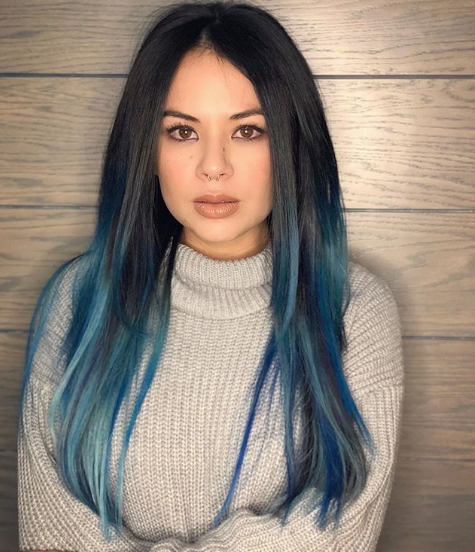 She is best known for playing Mona Vanderwaal on the Freeform mystery drama series Pretty Little Liars. She is also known for portraying Young Cosette in the Broadway production of Les Misérables (1996), and Jade in the teen comedy film Bratz (2007). In 2014, Parrish participated in the 19th season of Dancing with the Stars, taking third place. She also appeared in the 2018 Netflix film To All the Boys I've Loved Before. An American actress, dancer, singer and songwriter. Playing Mona Vanderwaal on the Freeform series Pretty Little Liars and Bratz: The Movie. Parrish was born as Janel Meilani Parrish to the parents, Joanne Parrish and Mark Parrish in Oahu, Hawaii. Her father is of European descent whereas her mother is of Chinese descent. Both of her parents used to be bodybuilders and has helped her keep fit by going to the gym and training with them. Parrish attended the Moanalua Elementary and Middle Schools. She began to play the piano since the age of six. Janel Parrish discovered her love of performing at a young age. After winning a number of local talent competitions, she was cast as “Young Cosette” in the Broadway production of Les Misérables. Parrish got her first off-stage acting job as a minor role in 1999's four-part miniseries Too Rich: The Secret Life of Doris Duke. Later, she was featured in Disney's made-for-TV live-action incarnation of the Pinocchio story entitled "Geppetto" in 2000. She also landed a recurring role on the hit NBC series "Heroes" (2007–2008). Parrish played Mona Vanderwaal for the duration of the Freeform TV series Pretty Little Liars. ( 2013 to present). Parrish other television credits include The O'Keefes (2003), The Bernie Mac Show (2004), The O.C. (2006), True Jackson, VP (2009), Hawaii Five-0 (2013), Dancing with the Stars (2014), Rush Hour (2016). Jane made her film debut in the film Bratz: The Movie, playing Jade in 2007. Later, she appeared in several films such as Fired Up! (2009) Triple Dog (2010), 4 Wedding Planners (2011), Celeste and Jesse Forever(2012), Something Wicked (2015) and much more. While she was just six years old, Parrish joined and won a statewide singing contest. Since then, Parrish continued training vocal and learned to play the piano as well as dancing. In 2003, she appeared in the 2003 remake of Star Search, performing the song "On My Own". In 2007, she was featured on the Bratz: Movie Motion Picture Soundtrack with an electropop song "Rainy Day". In 2012, she won a Teen Choice Awards under category Choice TV: Villain. In 2013, Parrish won another one of the awards under the same category. Again in 2016, She won another Teen Choice Awards. In 2008, she was also nominated for a Golden Raspberry Award under the category Worst Actress for her role in Bratz. Who is Janel Parrish fiance? Janel Parrish started dating her Dancing With the Stars partner Val Chmerkovskiy in 2014 and been together until the end of 2015. Previously, she has a romantic relationship with Brant Daugherty (2010 - 2013) and Payson Lewis (2013 - 2014), and Justin Altamura (2015-2016). According to her social profile, Parrish currently married her boyfriend Chris Long, he is a chemical engineer. We do not know how they met but their relationship started in September 2016. They dated for a year before getting engaged in Toronto, Canada in October 2017. 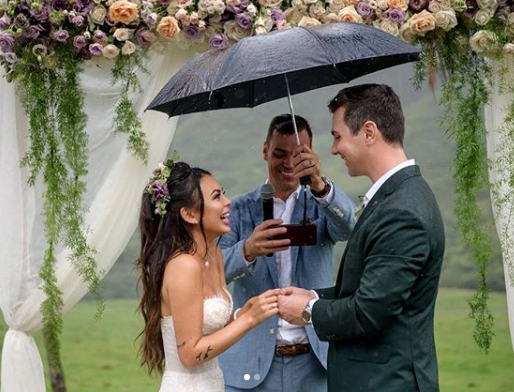 Their wedding took place in Parrish's home state of Hawaii on the 8th of September 2018. Her elder sister Melissa was her maid of honor while Chris's brother officiated the ceremony. 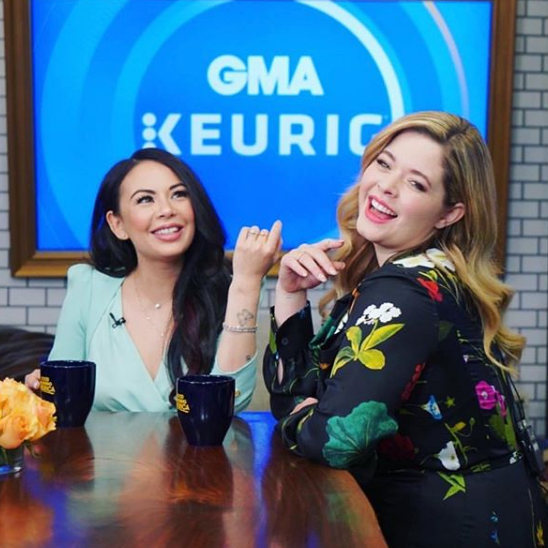 The beautiful ceremony was attended by some of her Pretty Little Liars co-stars and the couple honeymooned in Hawaii. Currently, she is able to achieve a net worth around 1 million American dollars and her salary is also increased compared to the previous year. Her source of income mainly flows from her works on television shows, films, and other endorsements. In addition, She can be searched on Twitter and Facebook with her latest posts and pictures available. Observing her body statistics, The beautiful Parrish boasts of a svelte figure. She is 5 feet 2 inches tall and weighs 50 kg. Similarly, her hair is dark brown in color while her captivating eyes are light brown in color. Her body measurement is approximately 34-25-36 inches. Furthermore, her shoe size is 6.5 (US). She has played the piano since age 6 and is an accomplished songwriter. As of April 2019, she has 24 tattoos. As a child, she took part in some talent competitions. The actress was born the day before the dark holiday called Halloween.